Product prices and availability are accurate as of 2019-04-15 01:33:51 EDT and are subject to change. Any price and availability information displayed on http://www.amazon.com/ at the time of purchase will apply to the purchase of this product. 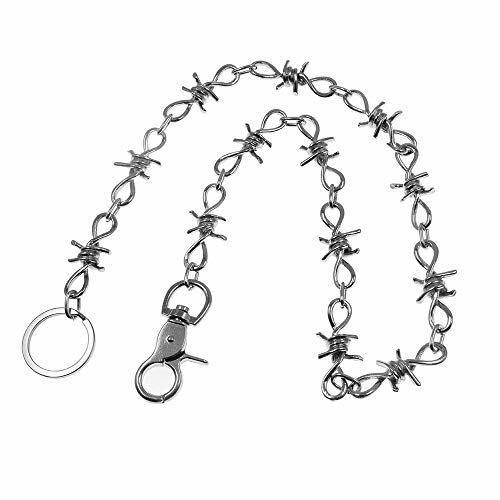 "Barbed Wire" Silver Wallet Chain. Fashionable and Exquisite. 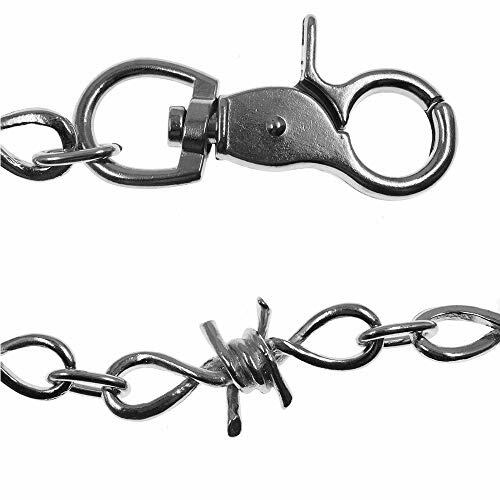 Specification - Chain length: 26"; Each link: 3/4" wide; Material: Heavy alloy; Color: Silver chrome. 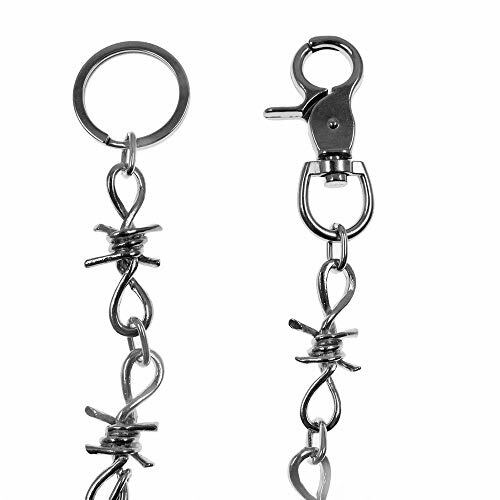 Hook on one end, keychain loop on the other. Chains that connect to your wallet to your jeans. 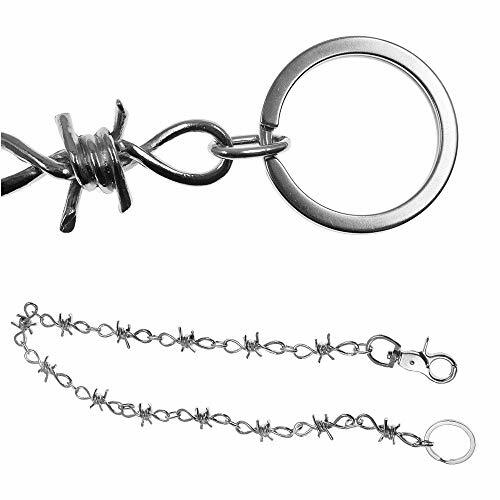 The keyring/clasp can be attached to your wallet and the lobster hook to your jean hooks. Perfect Accessory: Stylish and classic, perfect for daily dressing. Also, can be used as decorative chains in pants, bags, etc. Risk Free Warranty: Order with confidence. 30 days no hassle full refund or replacement if you are not satisfied with our product. Friendly customer service & fast shipping! 3-7 working days delivered from TX, US.